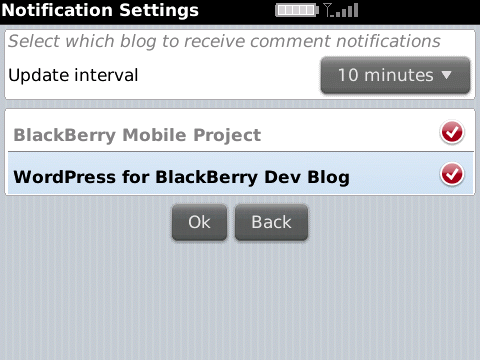 When I first tried WordPress for BlackBerry app, I was pretty amazed at how it simply gets the job done. I mean despite its simplistic approach to a mobile application, that is minus all the fancy interface, it’s really commendable that the app works fast. Perfect for mobile blogging. Sliding a finger to the left or right quickly on the Comment screen displays the next or previous comment. I was going to point out its greatest features but then as I was scrolling through the list, all new features are very important in making the app a great mobile blogging app. But yeah, the comment notifications is a much needed feature. While the geotagging of posts makes the app at par with the current location-aware feature of most mobile apps. Wait, there’s more. The app also now supports several languages including English, Italian, Finnish, French, Indonesian, German, and Portugese. You can snag the WordPress for BlackBerry 1.1 from the BlackBerry App World. It’s free to have, download, install and use. Or you may fire up the old app from your BlackBerry and you will be prompted to update to the new version.